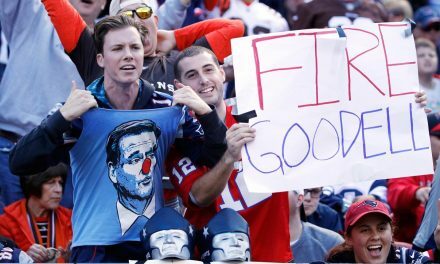 In the year 2000 at the NFL Draft a certain name would be called out loud that would become embedded into the brains of Patriot fans and NFL fans around the world. “With the 199th pick in the NFL draft, the New England Patriots select, Tom Brady, Quarterback from the University of Michigan.” No one knew that this announcement would change the NFL and is storied history forever. I will never forget the year 2001. In the seventh grade, I watched the Patriots play the New York Jets with Drew Bledsoe at quarterback. A young unknown was sitting on the bench that day wearing #12, just waiting for the opportunity to play and prove more doubters wrong. Little did #12 know that his time to shine would come sooner rather than later thanks to a late hit delivered to Drew Bledsoe from the Jets Mo’ Lewis. 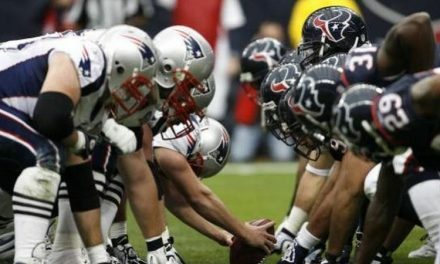 Many Patriot fans watched the game that day and figured it was just going to be another bad season for this team since its starting quarterback had gone down with a serious injury. 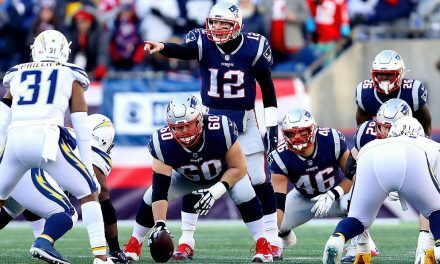 Then trotting on to the field came a guy no one knew existed, number 12, Thomas Edward Patrick Brady Jr. I remember watching this young guy head to the sidelines in his first ever NFL game and I thought to myself, “Who is this guy? He must be terrified.” Little did I know nor did anyone else know that he would evolve into our cold-blooded, fearless, GOAT. 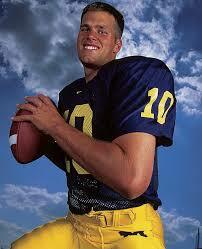 Tommy, once you hit the field in 2001 and led us to a Super Bowl run you knew you would never look back. 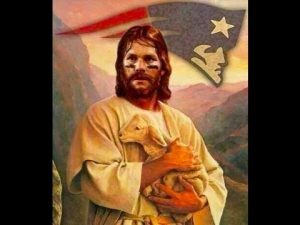 The starting quarterback job for our beloved Patriots now belonged to you and you ALONE. I have watched you lead us to five Super Bowl wins, countless AFC Title games, and a number of other historic personal and team moments. I STILL get chills every time I have the opportunity to watch you play. You have been through the wringer at the hands of the NFL and its red-nosed Commissioner. You’ve had haters from every fan base and media outlet in the world saying you aren’t the best. You’re a system quarterback, you’re only good because of your coach, the list goes on and on. But even as you continue to get older, you strive for greater heights and continue to prove them wrong. 40 is the new 20? You’re now at the ripe age of 40 and doing things most quarterbacks and athletes wish they could do when they were younger — to compete at a high level and more importantly, WIN at a high level. You show no signs of slowing down and you continuously leave it all on the field every week. You truly are an inspiration and a hero to every kid or adult who dreams to achieve greatness and live life with a purpose every day. You are LITERALLY a god and a savior in every sense of the word in New England. On behalf of a fan base and a nation, I want to be greedy when I tell you to never stop and to never leave us. But I know someday this eventuality will turn into reality. I know you’re not a kid anymore and the days of watching you play will begin to wind down. I will appreciate watching every snap you have left to take, knowing I am witnessing greatness and watching the best signal caller to ever play the great game of football. I want to say thank you for the memories I have of you as a kid and now to a man. It has been a pleasure watching you play and compete at such a high level for as long as you have. For playing the game the right way and being a great role model on and off the field. 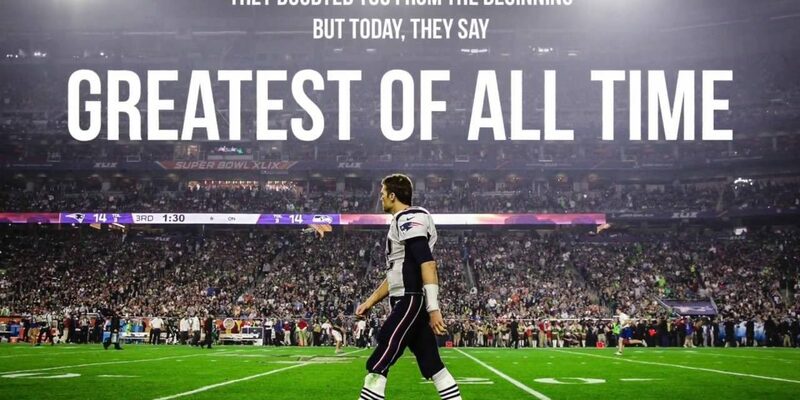 I’ve watched you hoist the Lombardi Trophy vs the Rams, Panthers, Eagles, and Seahawks and watched your historic/monumental comeback against the Falcons. One thing is certain. You, sir, are the GOAT and there will NEVER be another Tom Brady. In closing I would like to wish you the best of luck this season and however many more seasons you end up playing in the NFL. Winning five trophies is epic, since there are great players who never got a single one. But I’m fully aware that your career does not stop at five. You have more hunger and drive in you. Winning number six is NEVER out of the question. 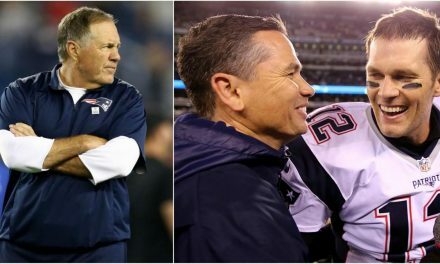 On behalf of ALL #PatsNation, thank you for all you have done and all you will continue to do. OH AND TOM, ONE MORE THING…..